SKU: CE293306 Categories: Dark Blue, Bunting Flags, Beach, Pirate, Sailor / Pilot, Science, Superhero, Big Bang Theory, Nautical, ON SALE! 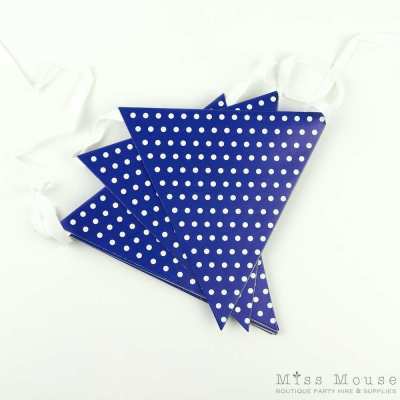 The lovely Polkadot Bunting Flags ~ Navy Blue are a great decorating option. It is made from thick card so you can use it over and over and it will still look great; or use it to decorate a rumpus or play space after the party. 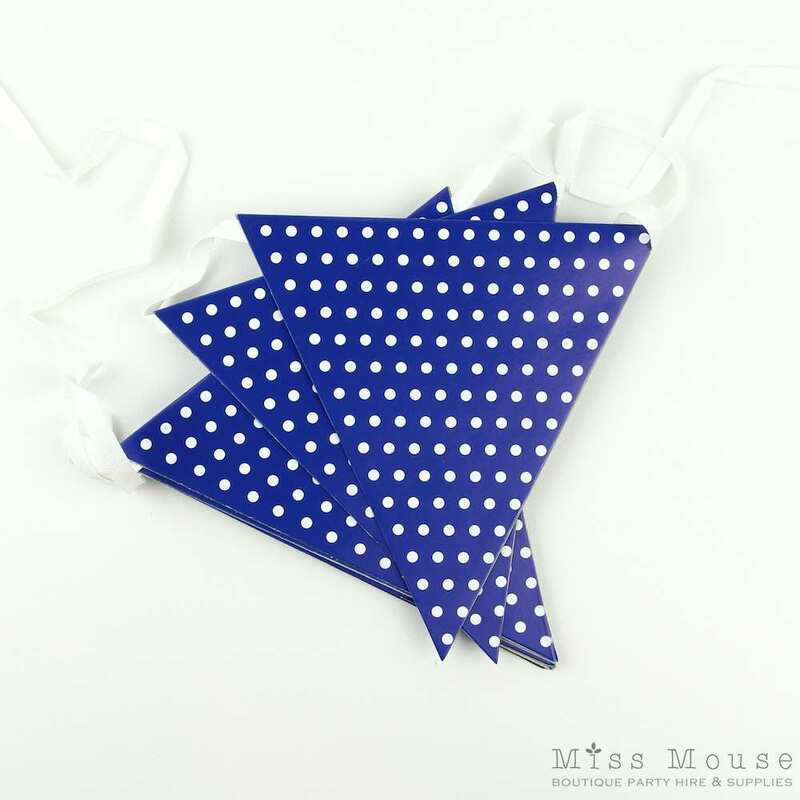 A bright blue with small white polkadots. Each flag is 11 cm wide and 15 cm long. There are 9 flags per bunting which measures 1.8 m long. Bunting comes fully assembled, ready for you to hang.